Mike Crane brings 20 year of experience in handling injury and death cases to the firm, concentrating on obtaining significant recoveries for injured clients. Michael L. Crane, born Wharton, Texas, November 20, 1958; admitted to bar, 1989, Texas. Preperatory and legal education, Baylor University (J.D., 1989). 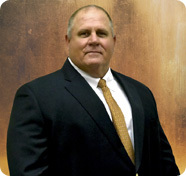 Board Certified, Personal Injury Trial Law, Texas Board of Legal Specialization. Board Certified, Civil Trial Law, National Board of Trial Advocacy. Fraternity: Phi Delta Phi. Member: Victoria County Bar Association; State Bar of Texas; Texas Trial Lawyers Association; American Association for Justice; National Board of Trial Advocacy; Texas Bar Foundation. Vehicle Accident? Allow us to represent your case, it will be our focus that you are rewarded fairly for your injury. Lost a love one to a preventable cause? Mike Crane will help you get what your family deserves.